Dangote Cement is the biggest listed company in Nigeria and the only Nigerian company in the Forbes Global 2000 list which ranks the top 2,000 publicly traded companies in the world (Forbes, 2016). Its rise has been a phenomenal one. It began as a cement trading company in 1981 (Dangote, 2016) and gradually integrated backwards till it disrupted the entire cement industry in Nigeria, gaining 68% market share as of December 2015 (Bloomberg, 2016). The cement industry in Nigeria had been dominated by WAPCO (West African Portland Cement Company) since the 1960s till the sudden rise of Dangote cement. Dangote cement listed in the Nigerian Stock Exchange in 2010 and since then has grown to become the biggest listed company on the exchange. Lafarge Africa now owns WAPCO and four other cement companies in Nigeria, yet their combined market share in Nigeria do not reach that of Dangote Cement. How did a fully indigenous company oust dominant multinational industry leaders and grow to become a global giant? The answer is partly in the numbers. Aliko Dangote, the founder of Dangote Cement, no doubt, had a big ambition but he also played the numbers right. All the while WAPCO, the former industry leader, had been standing at the gate of opportunities; the cement market was split between local cement and imported cement, and the economic growth from the 1990s grew the entire market for cement. Aliko Dangote was in the middle of it all as a trader and saw the opportunities WAPCO was not taking. He saw the potential for growth and squeezing out the foreign competition and decided to go for it by integrating backwards into cement manufacturing. The company’s financials for the last 8 years show a company on an aggressive expansion mission. 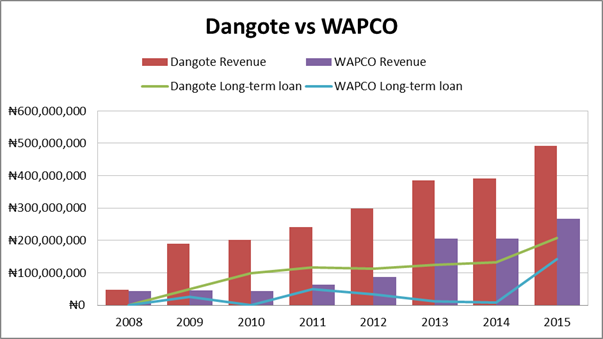 The long-term loans have gone up from 49 billion Naira in 2009 to over 200 billion Naira in 2015 while the closest competition and previous industry leader, WAPCO, has had very little debt until recently (in 2015) when it had to fight back by acquiring a smaller competitor and expand production capacity. According to Global Cement, an industry publication, Dangote currently has 28% market share of the entire Africa cement industry and is fast catching up with the global leaders like Cemex (the fifth largest global producer of cement) and is already one of the top ten global leaders in the industry. In Nigeria, Dangote Cement’s infrastructural investment and factories are second in capital expenditure only to those of the major international oil companies operating in Nigeria. Its strategy of aggressive long-term capital investment is its main key to the phenomenal success it has achieved. It has the largest cement factory in the entire sub-Saharan Africa. It currently operates in eight African countries and plans to expand into five more across Africa and Asia. 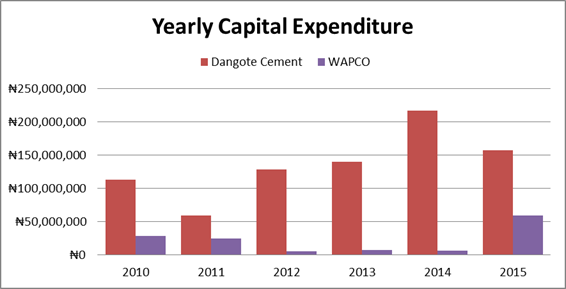 In the last six years it has spent over 810 billion Naira as capital expenditure while it closest competition, WAPCO, has spent only 133 billion Naira on capital expenditure for the same period, which is about one-sixth of Dangote Cement’s. The rise of Dangote Cement is one built on fundamentals – capital investments and sound planning. For decades leading to the 2000s, Nigeria’s per capital cement consumption was one of the lowest in the continent. The price was prohibitively high for years between 1980 to early 2000s as local production dropped from 3.5 million metric tons to 2.28 million metric tons while import skyrocketed from 0.8 million metric tons to 3.34 million metric tons (Mojekwu et al, 2013). The economy had been growing impressively and construction industry expanded making the market for cement shoot up. And the country is rich in the mineral deposits of limestone, red alluvium and shale required for the manufacture of cement. The unique combination of a weak local industry, growing construction industry, abundance of raw materials and deep market knowledge provided Dangote Cement the economic incentive to venture aggressively into cement manufacturing despite the huge capital required to break into the industry. And it has paid off. Not only did it rise to the top of the industry, it also became Nigeria’s biggest company and is on its way to becoming a global giant. Hopefully, more companies will take a cue from Dangote Cement’s strategic rise and exploit the same opportunities that exist in the other industries in the country where local production amid abundant raw materials has lost ground to foreign imports. Industries like agriculture, textile and oil services. Forbes (2016). The World’s Biggest Public Companies. [Online] Available at: http://www.forbes.com/companies/dangote-cement/ [Accessed] 26 May 2016. Global Cement (2016). 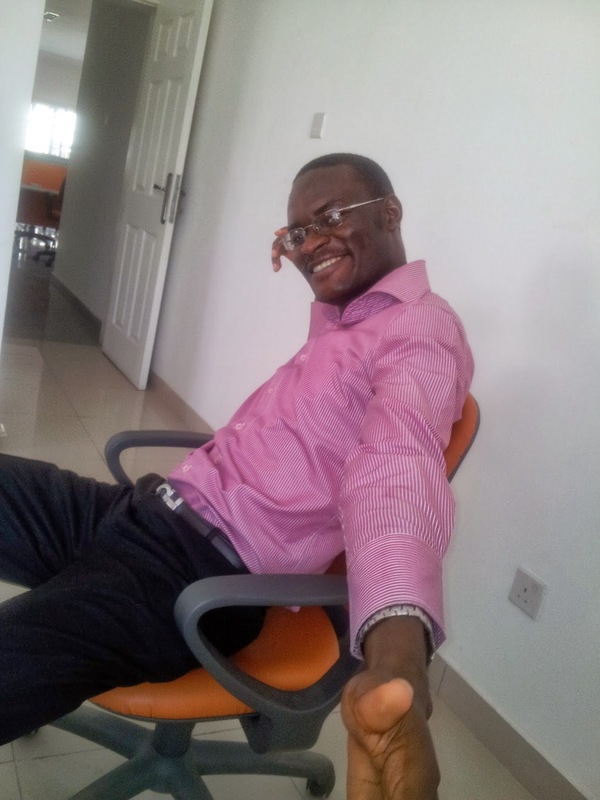 Crunching the numbers at Dangote Cement. [Online] Available at: http://www.globalcement.com/news/item/4695-crunching-the-numbers-at-dangote-cement [Accessed] 26 May 2016.